Galleria 49 (ex-Stefino's), for its fabulous almond Sicilian granita and its Cream with a hint of lemon zest ice cream. Stefino Bio, Stefino separated from his partners (above) and has opened shop in via San Vitale. A good number of his gelatos, sorbetti an granita are dairy-free and even vegan. All ingredients are organic. 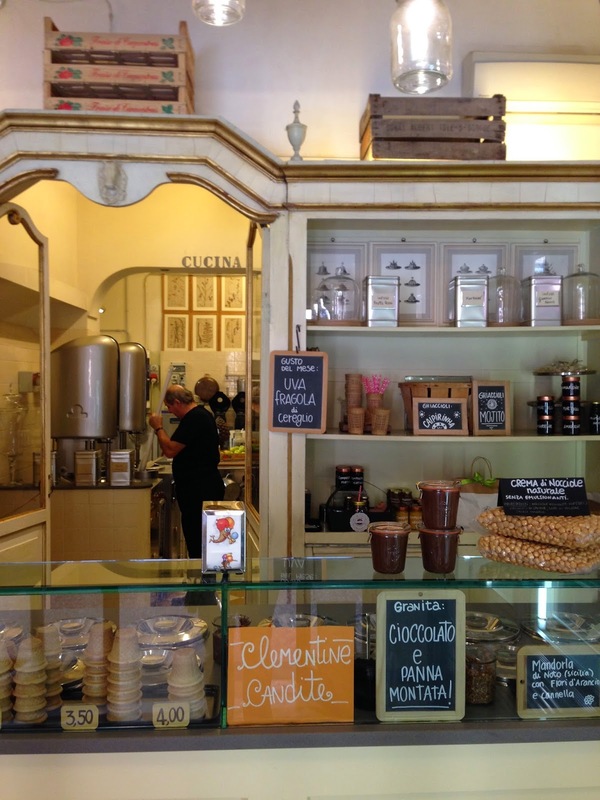 Cremeria Scirocco in Via Barelli 1/C, Bologna, BO 40138.
fabulous and unusual flavors, all rigorously made with high quality and natural ingredients. Any of their chocolate flavors (chocolate with hot pepper, chocolate laced with orange) or creamy nutty flavours are fabulous. They use several Slow Food Presidium ingredients in their gelatos. Sorbetteria Castiglione, in Via Castiglione 44 for its fabulous dark chocolate and cassata Siciliana flavors. When in season, don't miss the walnut flavor: noce (attention: not nocciole - hazelnuts). Grom on via d'Azeglio. While they do use several Slow Food Presidium ingredients in their gelatos, these are hand made in the shop; they receive the ingredients and mixes from their headquarters in Piedmont. PS don't abide by any of the lists you see out there, do your own research and decide for yourself :)! Goodie! There's a handful of places on your list we have yet to try. Thanks for sharing!